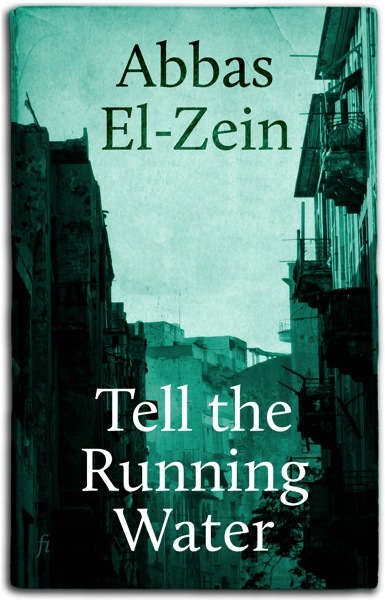 We’re thrilled to announce the launch of a new edition of Abbas El-Zein’s first novel, Tell the Running Water. It’s a remarkable story of Beirut during the civil war, of three young people whose fates become entangled on either side of the Green Line. “In El-Zein’s elegy for Lebanon’s lost youth, dispassion and stylistic poise keep the horror of civil war at a just bearable distance. A remarkable first novel.” — Felicity Bloch, The Age. “Documentary realism gives way to poetical grace in this first novel of destruction and self-discovery.” — Debra Adelaide, The Sydney Morning Herald. “As timely as today’s headline, and as timeless as a Levantine love song, Abbas El-Zein draws on his own experience of Beirut’s bitter war to create a novel that is elegant and elegiac. This writer has the rarest combination of gifts: a scientist’s precision and a poet’s eloquence.” — Geraldine Brooks, Pulitzer Prize-winning author of People of the Book and March. Abbas has updated the book slightly and it is now better than ever. We are privileged to be publishing the e-book versions of a novel, a memoir and a collection of short stories by such a talented and versatile writer. All three are connected in intricate ways—the Lebanon of Abbas’s memoir runs together with the riven city of the novel; his own life catches reflections of Kareem’s, Raawya’s and Tony’s—and one of the most striking of his celebrated short stories has its origin in Tell the Running Water. You really have to read all three.